Until September 29, 2016 I was not a big fan of Elon Musk. Not that I had anything against him. But I put him in the same camp as Eric Schmidt and Mark Zuckerberg – guys that had made a fortune in tech and were doing some interesting things with electric cars, self-driving cars, and delivering internet service to rural and remote areas. 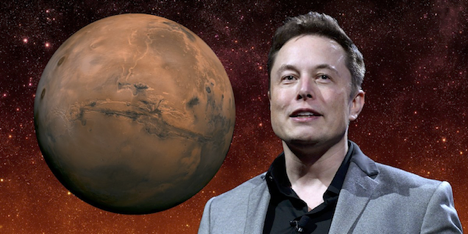 But when I listened to Elon’s talk on the colonization of Mars my perspective changed (I have put together a transcript of the presentation with his slides embedded and extra graphics and uploaded it to the Black Swan Blog Library). Not that I think colonization of Mars is the most important goal for the human race at this time. As a Geophysicist I acknowledge the possibility that there could be a large asteroid or comet heading for earth right now and that there is nothing that we could do to stop it and avoid a possible extinction event. So from that perspective becoming a multi-planet species makes sense. However, I think that possibility is quite remote and I feel that there are big problems to solve here on earth before we start exporting our issues to other planets. So the end goal of Elon’s talk is not what impressed me. What impressed me was the precision of the logic that he used to attack every potential barrier to the success of his mission. In essence he has taken all the lessons learned from more than a hundred years of development in the air travel industry and intends to apply all those lessons to Martian colonization in less than a decade. What is the relevance of Elon’s talk to the development of a sustainable energy environment? I would site one statement that epitomizes the approach that is required to achieve that desirable end result. These are not just words. The two elements Elon is referring to are the development of an extremely powerful rocket motor that is fueled by a methanol based fuel (which could be produced from resources available on Mars) and a carbon fibre fuel tank that is impervious to gas and extremely cold, liquefied methanol fuel. Without the Raptor engine SpaceX could not build a ship that can return from Mars by creating fuel in situ. And without a lightweight yet incredibly strong carbon fibre fuel tank the inter-planetary ship would be too heavy to make the journey possible. Neither of these elements are helping SpaceX achieve its near-term goals. In fact, quite the opposite. Key engineering staff resources and enormous sums of money are being diverted from near-term goals to demonstrate the feasibility of manufacturing the Raptor engine and carbon fibre fuel tank. But the harsh reality is that if you cannot solve the most difficult engineering problems there is no point to working on anything else. This is exactly the issue I raised in a blog post more than three years ago. The most difficult task we have before us with regards to sustainable energy is energy storage. Once we solve that issue everything else becomes easy. Without storage no amount of renewable energy development can wean us off the burning of hydrocarbons. It’s really that simple. And yet, politicians and regulators continue to put up roadblocks to the development of energy storage systems. There is no financial support available for stand-alone energy storage systems and politicians and even academics continue to debate the need for such support. There is no debate. As demonstrated by Denmark, Germany, and Hawaii, the development of renewables hits a wall when it becomes a significant percentage of total generation. 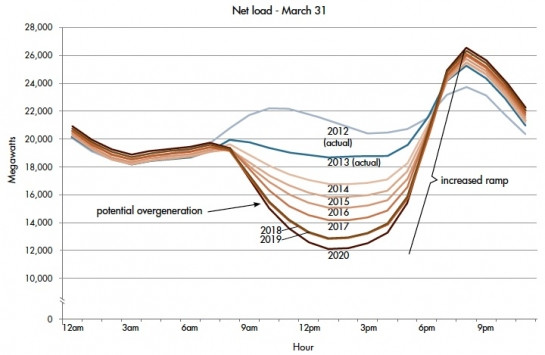 The 2013 California mandate requiring 1.3 GW of storage was met with hyperbolic excitement within the Greentech community. But what does it really mean? By intentionally not specifying the mandate in GW-Hours the California Public Utilities Commission made it clear that this was not a mandate to take energy storage seriously as a generation source. A few large battery complexes like the Notrees complex (where all the batteries have to be replaced after less than 3 years of service) in Texas or the facility planned for the Alamitos Power Center could provide 1.3 GW for anywhere from 15 minutes to four hours. That might be useful for the purposes of grid stabilization but it will not make any significant contribution to the generation of electricity in California. The California mandate will in all likelihood result in less than 2 GW-hours of energy storage by 2020. That’s about the same amount of storage that is built into one Concentrated Solar Power plant in Arizona. Building energy storage with a capacity of 1 GW-hour is hard. There is no battery complex, flywheel facility, Compressed Air Energy Storage System, or any other type of energy storage technology facility in the world that has a capacity close to that. But if California really wants to be powered by renewables at some point in the future the energy storage requirement would be more than 170 GW-Hours based upon the California “duck curve”. Maybe someday we will get serious about energy storage. The enormous benefits to people all over the world that would result should be motivation enough. However, I worry that at the rate we’re going Elon will have established a thriving Mars colony before we have an economical and reliable energy storage system.